The next data-analysis method I'm playing with is logistic regression (LR). It's a method often said to be included in a field of statistical computing (called machine learning, statistical learning, artificial intelligence, data mining, unsupervised learning, etc). LR is mostly used in cases of yes/no classifications. I'm trying to use data from my previous blogs where possible. 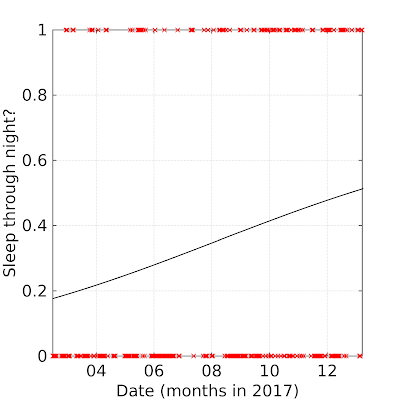 So the dataset is not really super suitable for LR (I don't believe I could really use the model result to predict the probability of future undisturbed nights of sleep) - but I'll use it anyway as a data-exploration tool. 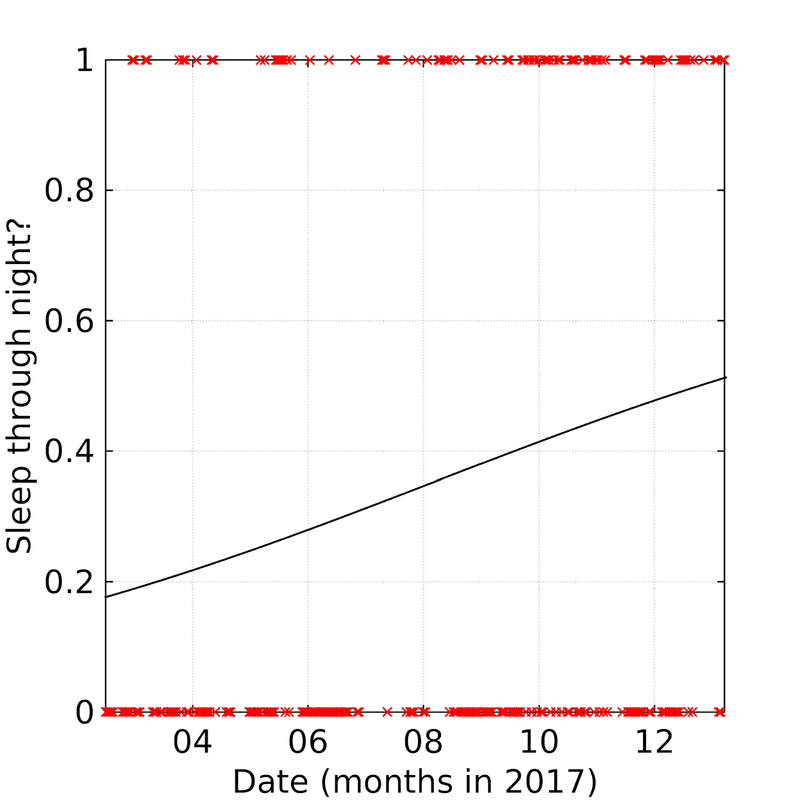 The data are taken from camera imagery of our baby/toddler's sleep each night (see earlier blog posts). It is probably possible to estimate, by eye from the red crosses, that there have been more undisturbed nights of sleep in the later months. But the logistic regression makes it clear that there is a positive relationship - i.e. our baby/toddler is sleeping through more and more nights (apparently sleeping through most nights by the end of the year).